Such an honour to receive awesome testimonials like this often.. It makes all the hard work & craziness so worthwhile! Feeling super proud & blessed to be given the gifts to make that difference! "Honestly, your an amazing person and an amazing teacher too, and your email was so informative. I've done CPR before with another company, but I've never seen a person who is so passionate at what they do. " Thanks for the refresh is always I pleasure doing with you!!!! My feedback is I'm very impress with your good energy that you pass to us during the class and I will reminding myself to keep calm and close my eyes for couple seconds at least. That's the most important part for me especially because I can apply as stress management cor my daily life!!! Thanks so much again!!! Hi Tammy, thanks again for an inspiring & informative talk today .You have so many beautiful & inspirational stories to tell from your own family experiences. You are definitely a gifted person with a wonderful strength and have a natural positive energy towards people. Blessings to & your family always. I just wanted to let you know that the information you have provided me is invaluable and I feel so much more confident if I ever need to provide first aid. I will continue to do my annual training with you, and will happily recommend you to anyone seeking first aid or Cpr training. I went to the training and was expecting to spend the day being thrown a whole heap of information, instead I was pleasantly surprised to find that the day was very interactive and informative. As we were told we learn by experiences, all the stories that were shared between not only the instructor but by other's doing the training gave us insight into the real situations that our training could be implemented. I just wanted to thank you for today. I thought you were very engaging and interesting to listen to. Being my first time doing a first aid course I thought you bringing your personal experiences into it made it a lot easier to learn, as it was fascinating to think that these things actually do happen!! Thank you again and I look forward to doing future courses with you. Thank you very much for your training session, I had a wonderful time.. Forgot I was actually doing training at certain points! You provided a training experience I've not experienced before, which was both personal and inspiring. I commend you for how you've taken such an evocative approach to training. How you've taken a life changing experience and utilised it to help others. Makes a much bigger impact! And I, extremely passionate about about first aid and emergency medical support, felt your passion fuelled by your own experiences. I wouldn't recommend any other first aid training to anyone. I can't wait for my cruise!! Thank you so much for coming down to Byron Bay out of your busy schedule to hold the CPR refresher course for me. You have made a huge difference to how my semester would have gone if I wasn’t able to get the CPR certificate. I cannot thank you enough. I also thought the way in which you conducted the course was very thorough and professional, and I have taken away more from your course than I have from others in the past. Thank you once again Tammy, you have helped me out more than I can explain! It was great to meet you and hear your story. I wish you all the best with yours and your daughter’s health and hope to meet you again. ​​Today was very informative with numerous relevant and real life senarios to consider where first aid is required to save lives. Tammy explained every situation very clearly to us all. I left her beautiful property today at the end of the course feeling confident within myself to play a successful role in looking after a sick or injured child or adult. I am now familiar with the process to follow fwhen faced with numerous senarios where first aid is required. Thank you for a great day and your professional approach to delivering a quality presentation. I have been to a number of first aid course over the years, but not as informative as Tammy's presentation. ​Saving Lives In More Ways Then One! Imagine taking a walk towards your pool, only to find your nearest and dearest floating and unconscious! This is every Parent’s Worst Nightmare! Would you know what to do and how would you react? Tammy Richie who had this experience, now uses her experience to ensure this does not happen to others. Tammy Richie is an ex-Aircraft Maintenance Engineer, Lifesaver, Business Woman, Winner of 2012 Entrepreneurial Mother’s Award by Women at Work International, nominated for several other Awards, including the Pride of Australia award in the category of “Courage” and proud Mum of 2 beautiful girls, Bree and Maddy & 1 gorgeous boy, Carson! Tammy was one of the lucky ones who had First Aid training- she saved her own son’s life when he drowned in their backyard pool at just 16 months of age! 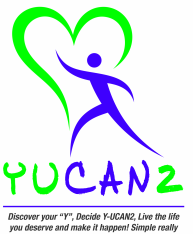 Her passion for saving lives is what inspired her to start her Business, First Aid YUCAN2. First Aid YUCAN2 empowers their clients to have the confidence to save that life if required, by offering quality First Aid training and the World’s best Safety Products. She has searched and also stocks a great solution to drowning “evie” Inflatable Rashie, created on the Gold Coast to help others from enduring drowning incidents. How would you feel if you lost a loved one or outlived your child from an incident that could have easily been prevented? It takes just 20 seconds for someone to lose their life through drowning…this could change your life forever! Just think what daily tasks you carry out that takes 20 seconds where you are not supervising? “evie” Inflatable Rashie is a fantastic product, designed to “ keep heads above water” and prevent incidents from occurring in and around the water. It carries the Aus/NZ Standards and is a PFD1, offering UV50 protection, bright colours and is also comfortable to wear. Tammy says “that every time she hears of a terrible incident in and around water, she feels like she has let them down, knowing she has access to a solution for this problem and it had not been used” This new innovative water safe, whilst sun safe product.